Thought the Pagani Huayra BC was insane? 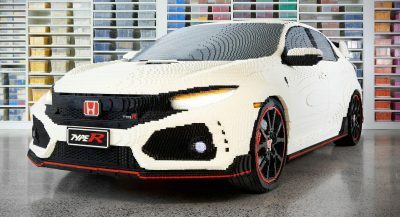 Well, it appears as though the Italian car manufacturer is working on an even more potent version of its hypercar. 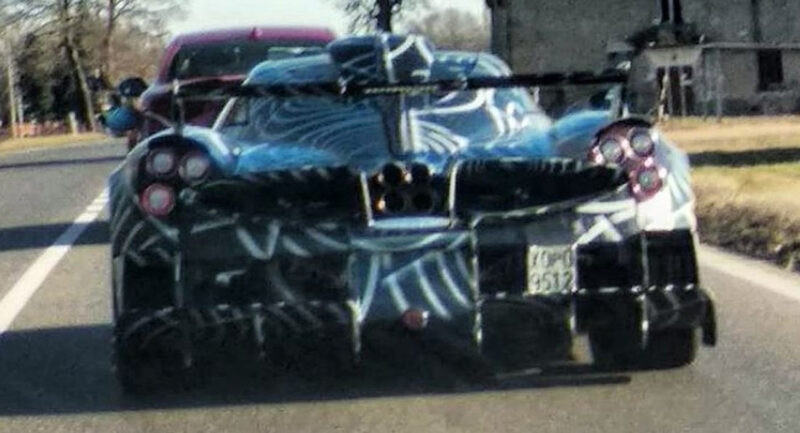 Car collector and Pagani owner Kris Singh recently shared the following spy shot of what appears to be a new Huayra variant on Instagram – and it’s very intriguing. A look at the rear reveals that it has been outfitted with a Zonda Cinque-style carbon fiber roof scoop. There are at least two Pagani Huayra BCs that we know of which were outfitted with a similar roof scoop from the factory at the request of their owners. However, the custom touches to this Huayra don’t stop there. At least one billionaire is about to get a special New Year’s gift. Pagani has also fitted the hypercar with a bespoke carbon fiber rear diffuser. It may look similar to the diffuser of the BC, but it incorporates a larger central tunnel and seems to have a couple extra fins on the outer edges. The final alterations we’ve picked up on are fins above the taillights similar to those from the Huayra Roadster. The camouflage is yet another hint that this could very well be a new model rather than just a custom BC. 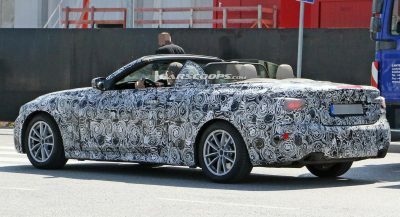 The Italian marque usually remains tight-lipped about forthcoming models, but we do know for sure that a BC Roadster is on the way. However, there has been no talk about a new Huayra coupe. Whatever we’re looking at, it’s clear that Pagani isn’t getting ready to retire the Huayra just yet. 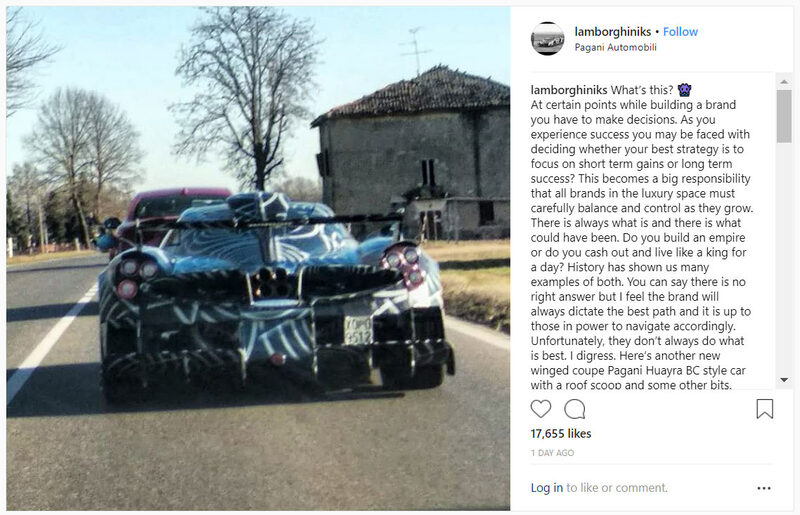 Looks like Pagani is no longer on the wave. We were acustomed with a lot of variants of Zonda. Its the opposite of what you say, OBVIOUSLY Pagani is on a wave, and the wave is called Huayra. Can you not read? Do you remember how manny variants had Zonda, and how manny TV shows presented this car? Don’t bother to answer. Now we get maximum 1 news/year about Huayra. Pagani .It’s time to have own engines. 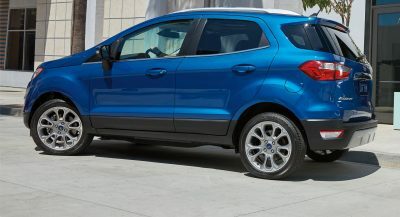 Let them do what they do best – designing a car around a great engine. 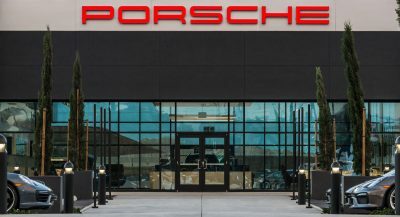 The way they run their program is to design have everyone make the components (except the carbon fiber bodies and parts) and they do final installation. It’s a business model that works very well for them and to do otherwise could hurt them financially. I know Koenigsegg does the opposite of this and that is mind bogglingly amazing. He is a fricken genious. In truth I’m more impressed with Koenigsegg the company but would rather have the Zonda or Huayra because of its looks. I thought they were coming out with a new car..the Huayra is tired..
AMG builds amazing engines, then Pagani puts them into the beserk cars they were made for. Although i thought the Huayra was going to be replaced by an all new model.